Procalcitonin-guided therapy did not reduce the number of antibiotic prescriptions among patients presenting to the ED with fever. 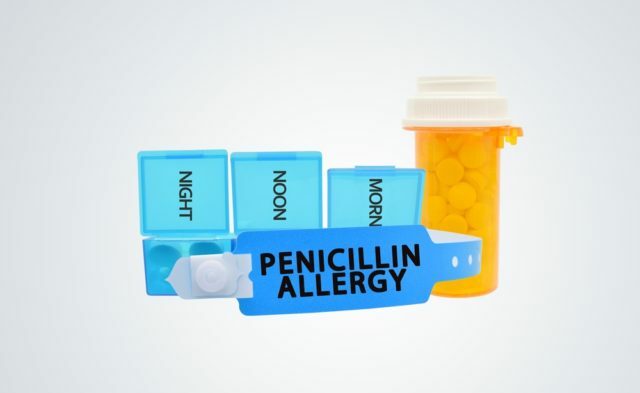 Procalcitonin(PCT)-guided therapy did not reduce the number of prescriptions for antibiotic regimens given to patients seen in the emergency department (ED) for fever, according to new findings published in Clinical Microbiology and Infection. PCT-guided therapy has been shown to decrease the use of antibiotics successfully in different types of clinical settings, including the ED, but only in subpopulations with respiratory infections. The effect of using PCT-guided therapy in a general population of people seen in the ED has not been defined. To assess the effect of this measurement tool on antibiotic use in a broad population of people seen in the ED for fever, the authors conducted a noninferiority multicenter randomized clinical trial that included 551 adult patients seen in 2 Dutch hospitals. Patients who had a temperature of ≥38.2°C during triage were randomly assigned to standard diagnostic workup (control group) or standard workup plus PCT-guided measurement. The treatment algorithm encouraged withholding antimicrobial therapy with PCT <0.5µg/L but initiating it with PCT ≥0.5µg/L. A total of 200 (73%) patients in the PCT-guided group were prescribed antibiotics vs 212 (77%) of controls (P =.28). The use of PCT-guided therapy did not reduce the probability of antibiotic use between groups (odds ratio, 0.86; 95%CI, 0.56-1.35), even after adjusting for confounders. There was also no significant difference in safety, which was assessed with a composite safety end point consisting of 30-day mortality or intensive care unit admission or a return to the ED within 2 weeks (n=29, 11% for the PCT group vs n=46, 16% for controls; P =.16), with a noninferiority margin of 0.46% (n=526). Accuracy of PCT was poor, with an area under the curve of 0.683 (95% CI, 0.635-0.731) compared with the area under the curve of C-reactive protein, 0.695(95% CI, 0.646-0.744). “Future studies should focus on more accurate diagnostic modalities for identifying bacterial infections to reduce prescriptions of antibiotic regimens in the ED,” wrote the authors.